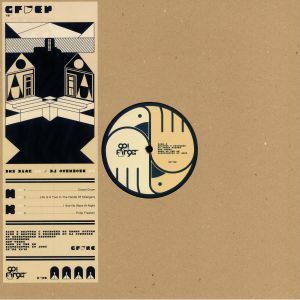 Cobra Club’s second release, Mariahoeve EP comes directly from the magic hands of Endfest. 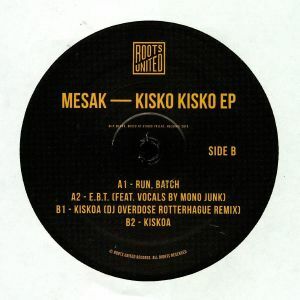 The EP is supported with amazing remixes by Mark du Mosch and Dj Overdose as Rotterhague. Meeting Mr Magpie on the A-Side starts it of by hitting you hard with a straight up Gloomy beast of an Electro track, the remix by Mark Du mosch takes this track to another dimension stretching it out and adding his much loved vibe to it. On the B-side the dreamy and at moments even poppy Electro jam makes you want to take Bus 53 straight to the sandy shore of Scheveningen. Dj Overdose’s Rotterhague remix flips it into a street version that has more of a link to harbour of Rotterdam than the beach of Scheveningen. Both sides come with a short version of the full length track ”Drank”. DJ Overdose is back on Hungarian label Dalmata Daniel, this time sharing a record with a local old-school legend, Sematic4. Both sides are full of great tunes of hard-hitting electro, but both are a bit different in mood and sounds. 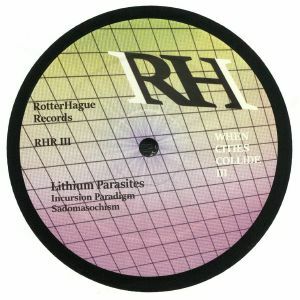 When Cities Collide III features Lithium Parasites which is a project from former Ultradyne member Alex Lugo together with Alonzo. On this RotterHague release their combined strength brings out what sounds like dystopian cruising music. Watch those crumbled skylines pass by. DJ Overdose does what DJ Overdose does. After the successful first year with four remarkable techno VA releases, Propaganda Moscow launches the brand new series: Code. Inspired by hi-end and computer technologies, ‘Code’ will represent top electro and similar styles’ sound.